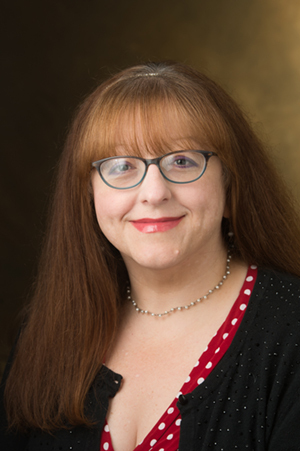 The College Media Association (CMA) has recognized Southern Illinois University Edwardsville’s Tammy Merrett with its Distinguished Adviser Award. Merrett will be honored at a ceremony on Thursday, Oct. 26, at the Dallas Sheraton during the 2017 Associated Collegiate Press/College Media Association Fall National College Media Convention. The Distinguished Adviser Award is presented to a CMA member who has had five years or more experience in college student media advising, has distinguished service in a particular area and is an adviser at the time of the nomination. Joining Merrett as category winners from a four-year college or university are: Ed Bonza, Kennesaw State (Georgia) University; Colin Donohue, Elon (North Carolina) University; and Carolyn Levin, Long Island (New York) University. Merrett has 18 years of student newspaper advising experience and has worked in the field as a professional journalist since 1986. Before joining the faculty at SIUE to become the program director for The Alestle, she worked for eight years as faculty adviser to The Montage at St. Louis Community College-Meramec, and two years as the junior adviser at The Journal at Webster University in St. Louis. Since 2010, Merrett has been a member of the board of directors and is the immediate past president of the St. Louis Professional Chapter of the Society of Professional Journalists. She is the immediate past president of the Illinois College Press Association and has been active in ICPA since 2012. She was also a member of the St. Louis Journalism Review Board of Editorial Advisers and worked for the media criticism publication in various capacities for 12 years. A Kansas native, Merrett earned a bachelor’s in communications from Pittsburg State University in Pittsburg, Kansas. She later earned a master’s in communications management from Webster University. CMA annually recognizes the achievements of individuals through various award programs, including Honor Roll Adviser Awards for professionals who have advised for five or fewer years; Distinguished Adviser Awards for professionals who have advised for greater than five years; and a variety of special honors recognizing service and outstanding achievements. Photo: Tammy Merrett, faculty adviser to SIUE’s student newspaper The Alestle.